Webinars are a great way to establish yourself as an authority in your industry. They also help to connect you with your audience, generate more leads and ultimately increase sales. One of the best things about using webinars as part of your online marketing strategy is that they are both convenient and cost-effective. Neither you nor your audience is required to travel, and webinar hosting companies, like Worktank, make it affordable for businesses of all sizes. Whether you’re just getting started with webinars or you’re an established presenter in need of a change, check out these top 5 webinar formats. Similar to a testimonial, a case study webinar allows you to show your audience real-life examples of your product (or service) benefits. The most-effective case studies include an actual customer story. Start by telling your audience about the customer’s problem or need, then explain how your product met those needs or solved the problem. Just make sure to get the customer’s permission first, and remember to use real numbers and facts to show tangible results and back up your claims. People love to learn, especially if you provide them with tools and tips that they can promptly put into action. How to’s make great educational webinars. While your end goal may be to establish yourself as an authority, or sell a product or service, be careful not to hard sell in an instructional or educational webinar. Your attendees should come away from your webinar having learned something useful, in addition to discovering how great you are. These types of webinars draw audience members in with the promise of professional answers to their pressing questions. Consider hosting a series of “ask the expert” webinars, inviting a combination of your internal experts and various industry specialists to speak. The expertise of outside professionals will help boost your own authority, and if they have a following, it could attract a larger audience to your webinar. A third-party endorsement of your product or service can also help increase sales. Similar to “ask the expert”, interview webinars tend to attract curious attendees. Much like when a famous actor is scheduled to appear on a late night talk show, people will tune in to a webinar to hear what your guest has to say – provided both the topic and the interviewee are engaging. Unlike other webinars, interviews require less presentation, but be sure to prepare your questions in advance and allow time for your guest to speak directly to your audience. Panel discussions allows you to present various perspectives on one topic. This is can keep your audience engaged throughout the duration of your webinar, and, like “ask the expert” and interviews, panel discussion webinars will draw a larger audience if the panelists have their own following. Simply ask other professionals you know who have knowledge on the subject to join your webinar so they can share their opinions. Just remember to introduce each panelist before starting to establish authority, and allow time for a Q&A segment with the panel at the end. 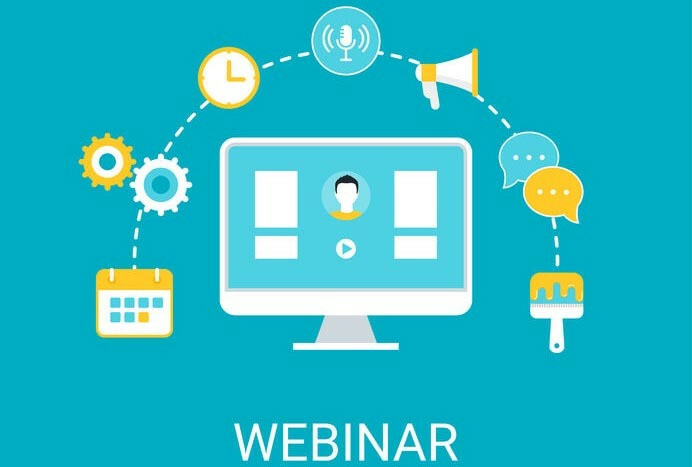 Worktank’s experienced webinar hosting team is capable of managing all aspects of your webinar, including registration, hosting and transmission, viewer interaction, analytics and more. Our flexible solutions will save you time and money, make your presenters look great, and deliver high-quality experiences for your online attendees. To learn more about Worktank’s professional and affordable webinar services, call (877) WRKTANK or contact us. © Worktank Enterprises, LLC. All rights reserved.